When I think of senses I think of the classical five senses: sight, hearing, taste, smell, and touch. These human senses provide inputs for us to navigate situations, allowing us to perform actions based on our perceived environment. Machine sensors provide a wide assortment of opportunities to measure our world. Humans also have senses such as balance, which is a culmination of sensory inputs including the inner ear. Accelerometers and gyros are used in automotive and drone Electronic Stability Control systems to provide computers with the inputs required to keep a car hugging a turn and allow a drone to hover. Cameras are used in automation to allow cars to see lanes on highways which can be seen applied in consume products like the Tesla line of Smart Electric Vehicles with autopilot. I’ve put together a backend that includes WebSockets and background jobs to receive and index transmissions from serial into a PostgreSQL database. For every sensor below you can test their data with the python script below. 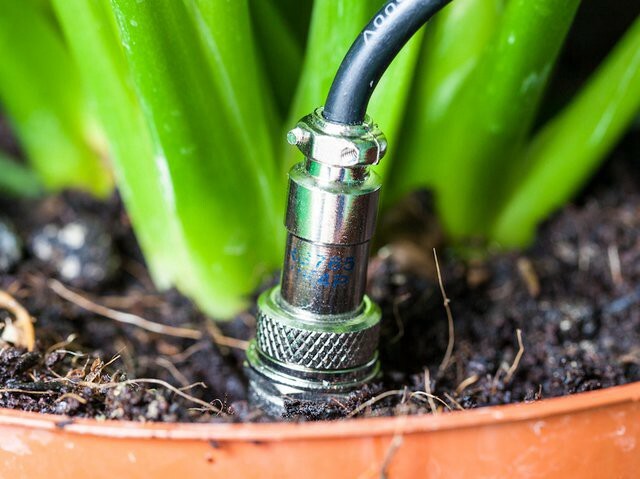 This probe can be used to stream soil metrics to enhance your GreenThumb Computer Vision System’s ability to distinguish heat or water stress in the root zone.